CBI’s Coupon and Copay Summit begins with their Chairman, Chris Dowd, Executive Vice President, Market and Product Development of ConnectiveRx addressing the state of the marketplace – accumulator programs, drug rebates, rising out-of-pocket costs and the drug pricing debate. Register by August 10th 2018 and receive $500 off the standard rate with the discount code DCC500. 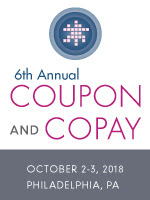 As the healthcare marketplace continues to evolve, CBI’s Coupon and Copay Summit convenes an exceptional group of industry experts to discuss key market factors affecting the future of copay assistance and copay program design. Joseph Mack, Senior Compliance Counsel, U.S. Office of Compliance, Bayer U.S. Please visit CBI’s site for more information. Register by August 10th 2018 and receive $500 off the standard rate with the discount code DCC500 (an additional $100 off the Advantage Pricing!). *Discount expires 08/10/2018 and may not be combined with other offers, category rates, promotions, or applied towards an existing registration. Offer not valid on workshop only or academic/nonprofit registrations. Other restrictions may apply.